EVERY AUSTRALIAN WHO WAS born in the 90’s or before would remember the infectious and good-time song Hello which was commercially released in 2003. They introduced us to a fresh sound that was a bit of Latin, pop, rock, jazz but most importantly they reminded us that music (especially live music) was supposed to be fun. Now in 2011 they are about to celebrate their tenth anniversary as a band. 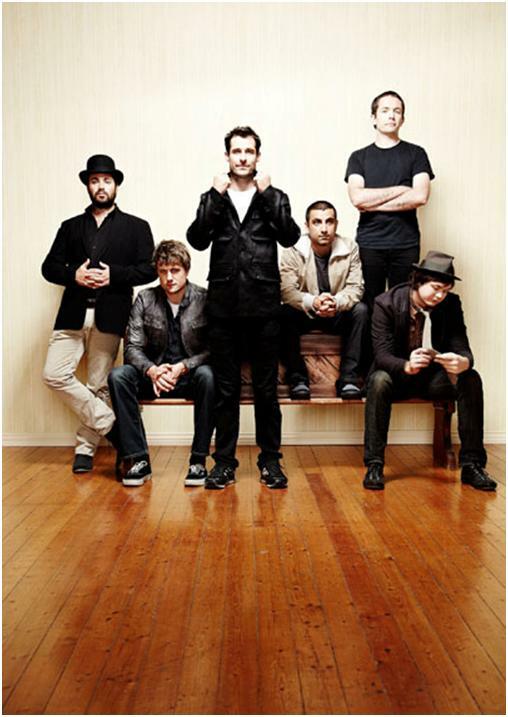 During those ten years The Cat Empire have toured many countries as file-sharing and good old word-of-mouth helped them to become a renown live band with a worldwide following. Harry James Angus was very kindly answered a few questions for me. Thank you Harry! I also must thank Sophie for setting the interview up. You guys are about to celebrate your ten year anniversary and you all aren’t even thirty yet! Why do you think you’ve been so successful as a band? It’s just the music that we play, and luckily, people have liked it. I’m sure lots of decisions we’ve made along the way have contributed to our journey, but mainly, we just made the music that we did, and we practised hard, so that when we played in front of people, they liked what they heard. Then the people do the rest. In the last few years you’ve toured the UK, Europe, Canada and Japan. Which group of people seemed to “get” The Cat Empire the most? I don’t know… I don’t think we really “get” ourselves. There are six people in the band, all with different ideas of what the band is about, all liking different elements of the music, and expecting different things of the crowd. And it’s hard to generalise about the crowds, because every crowd is different, except for one thing: In France, when you play ska, everyone goes crazy. Every time. You attribute illegal file sharing towards your overseas success. Do you think this is the new worldwide “word-of-mouth”? It is… they call it viral and if you walk into any book shop you’ll see fifteen books in the business section on how to manufacture it. But you can’t manufacture it, it just happens. People decide for themselves. It could be said that The Cat Empire are the most underrated hardest working band in Australia and it look like you have fun doing it. Is having fun the thing that keeps you going? Lots of things keep me going… I love the fact that we still find a way to improvise in the music at every show, so it’s never the same. I love the travelling. It’s a good life. In 2007 you performed on some American night shows like Jay Leno and Letterman. Did you guys get good responses from these audiences? The Letterman audience was a little cold, literally. They keep the studio at 5 degrees Celsius, so the celebrity guests don’t sweat. Some artists don’t really take the Arias seriously as they say it’s only for popularity. You guys have won a swag of Arias and you’ve been doing it under the radar, so it winning really from popularity? We’ve only won one ARIA, although we’ve been nominated a lot… (sorry Harry!) some of the awards are clearly based on popularity – most popular this or that, those awards are calculated on album sales. Other awards are voted for by the ‘industry’… whatever that is. I’m not quite sure who they are, or what qualifies them to be the tastemakers. But some of the best artists in this country will never be invited to the ARIAs, and popularity isn’t everything. Onstage how many are of you? Usually eight. Sometimes more, sometimes less. You’ve just announced a national tour in April/May. I bet you guys are really looking forward to performing in front of Aussie crowds again? It’s quite a strange tour; we’re playing at all the venues we’ve played at in each town… so in Melbourne we’re playing Bennett’s Lane, The Corner, The Prince Bandroom, The Nightcat AND the Forum…. which means every show will have a different mood. Should be fun. If you had to pick out the most memorable gig you’ve done over the past ten years which would it be? Opening for James Brown on his Australian Tour. My hero. Will you guys ever take a well-deserved holiday or do you consider touring worldwide one continuous break? Touring is definitely not like a holiday. We make sure we get our time at home every year, and that’s the time that feels like a holiday – staying in the same place, sleeping in your own bed… cooking your own food… civilian life. It’s very nice. Again, thanks very much Harry for taking the time out to answer these questions. I really appreciate it!